Old World Kitchen Dreamware Winner! Hey Everyone! This is just a quick post tonight to reveal the winner of the beautiful, hand-carved cookie utensils from Polder’s Old World Market. You might remember last week I posted an Oatmeal Raisin Pecan Cookie recipe that I made using hand-carved Old World Kitchen utensils. Polder’s is generous to offer one of my readers the same set! 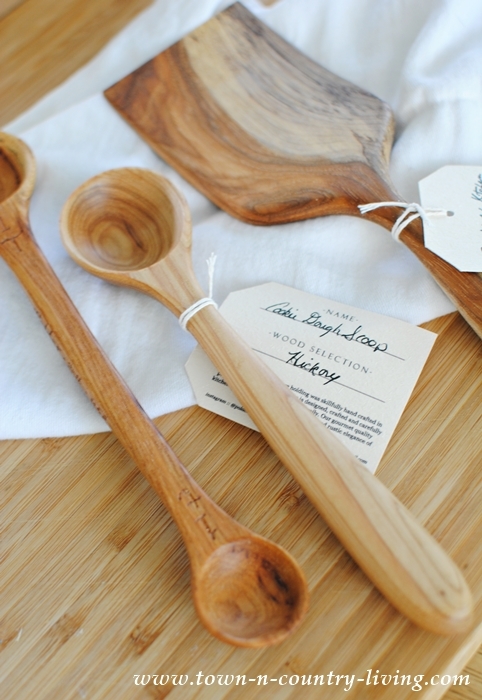 Congratulations to DJ … the lucky winner of these gorgeous kitchen utensils!! For those who didn’t win, you can still take advantage of the 15% discount offered through June 8th at Polder’s Old World Market. Simply enter the code TOWN&COUNTRY15 at checkout! Thanks to everyone who entered. I have more giveaways planned for the summer so stay tuned! It’s my way of saying “thanks” for being a Town and Country Living reader. I truly appreciate each and every one of you!